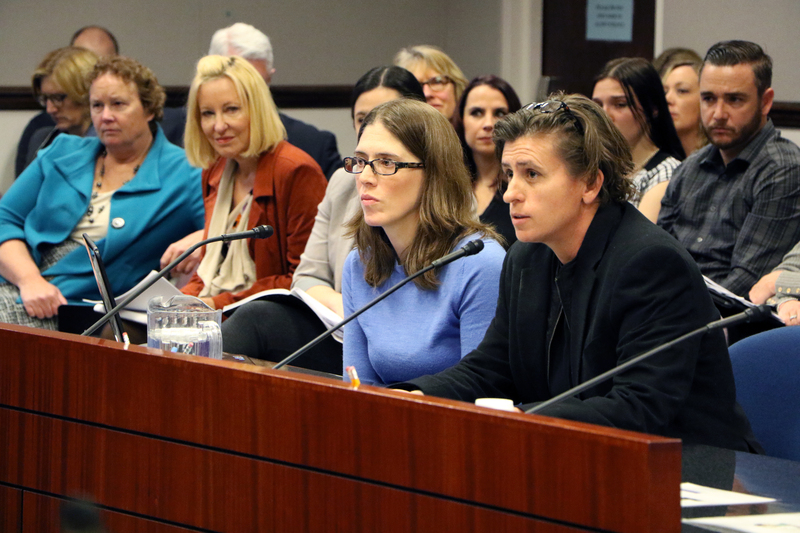 HOPES Chief Medical Officer, Natalie Vogel, and HOPES Cheif Executive Officer, Sharon Chamberlain, both went down to the Nevada Legislature on March 13 to testify to the Committee to Study Issues Regarding Affordable Housing. Dr. Vogel spoke about how stable housing can not only improve people’s wellbeing but is also a huge factor in making sure people stay healthy. You can view a video of the committee meeting by clicking this link. Dr. Vogel’s testimony starts at time index 12:09 or you can click agenda item IV. Presentation on the Link Between Health and Housing to skip to the start of her testimony. You can click here to view the slideshow presentations HOPES brought to the committee. Good morning. Thank you for convening this committee to focus on the intersection of housing and healthcare, and for giving me the opportunity to present. My name is Natalie Vogel and I am the Chief Medical Officer and a Pediatrician at Northern Nevada HOPES. HOPES is a Federally Qualified Health Center (FQHC) that provides primary and integrated health and well-being services to underserved individuals, from newborns to the elderly, including patients experiencing homelessness in northern Nevada. We are a safe place for our community members to access the physical and mental health services they need, as well as many additional ancillary services that help make that care as successful as possible. HOPES currently serves approximately 10,000 low-income individuals living in northern Nevada. 25% of the individuals we serve are experiencing some kind of homelessness. Approximately 84% of HOPES clients live at or below 200% of the Federal Poverty Level (FPL). 59% of this population lives below 138% the FPL; which means families of three people or less survive on less than $28,000 a year. There are many misconceptions of what it means to be homeless; many of our clients experience homelessness to different degrees. Some fit an understood perception, living under bridges or on the street. While others find transient shelter in weekly motels, their friends’ couches, and sometimes a stranger’s bed. These uncertain, inconsistent, and often unsafe shelter options create comparable barriers to health and well-being as experienced by those who are literally living on the street. I suspect these facts may be part of why I was invited to speak today. I am not an expert on housing. Instead, I am a doctor who sees every day how health and housing are intertwined. As a healthcare provider to primarily low-income individuals, I have seen first-hand how the social determinants of health have a tremendous impact on the lives of every person in our community. At HOPES, we know that the path to wellness is so much more than medical care. That the conditions of our environment not only influences our individual health, but also go on to impact our entire community’s health. Addressing just the symptoms of disease and ignoring its underlying foundations will not improve population health over a longer term. One of the most critical foundations of health for our patients is stable, safe and affordable housing. as well as lack of control over nutrition, personal hygiene, and sleep. The psychological toll of surviving on the streets is as dire as the physical. Homelessness also complicates efforts to treat illness or injuries. Conversely, because half of all bankruptcies in the U.S. are caused by health problems, poor health puts one at risk for homelessness. It is very easy to take the simplest aspects of housing for granted. When it is gone, however, its importance is crystal clear. Without a home, you don’t have a safe place to keep your medication, or the option to store it in a refrigerator, as often prescribed. Without a home, you don’t have a place to store the food that is often necessary to take with your medications, let alone to keep you properly nourished so that the medications can be effective. Without a home, you don’t have a sanitary place to use your insulin. Without a home, you’re more susceptible to infection by living in often unsanitary conditions. Without a home, you can’t receive appointment reminders, or reminders to re-enroll in insurance. Without a home, you often use the ER as your primary care provider because the uncertainty of your daily life prohibits you from attending regular check-ups. Without a home, you’re more likely to suffer from stress-related health issues, including hypertension, high blood pressure, anxiety, depression or chronic infections. Without a home, you don’t have a safe, quiet place to care for your sick child. Without a home, you’re more susceptible to violence, abuse and neglect, often exacerbating other health conditions. Without a home, you don’t have a place to receive Hospice care or home health. Without a home, you don’t have a place to plug in your oxygen to breathe. First, at HOPES, the Case Manager, through repeated contact, cultivates a relationship and builds trust. Once trust is established, the case manager is able to connect participants with services and help them navigate the housing continuum. At times our Community Based Case Managers have walked the streets of our city, visiting homeless camps along the river and under bridges, parks, weekly motels and a variety of other locations where those experiencing homelessness frequent, with the goal of establishing rapport with potential clients. In addition, our Case Managers work to make our clinic a safe and inviting space for homeless clients to come and meet on-site. Many of those individuals who would benefit from Case Management suffer from mental illness and/or substance use, which tends to make them highly service-resistant due to previous stigma surrounding their situation. These challenges make it long and patient work. For us, the second component for successful care of homeless clients is the integration of health and wellness services. Or more specifically, weaving physical and mental health services together with case management services. Our patients who are experiencing homelessness often suffer from multiple complex medical and behavioral health diagnoses. Our medical providers work in teams in real time with mental health providers and case managers, in hopes of addressing all areas of need. When we do, we see health improve. The last component is an understanding of the spectrum of housing solutions. We believe the path from homelessness to independence is like training for a marathon, where every step along the way brings you closer to your goal. In the housing continuum, that goal is independent living. Case managers help clients navigate these housing options, assisting and empowering them to reach their goals. Case Managers are critical to movement along the continuum, providing multiple touch points, from more intense daily touches with clients, through to monthly, even annual touches. Case managers also serve as a reliable resource for low-income housing owners who need to receive information about the clients in their homes. I’d like to share a note we received from a 48-year-old man, Daniel, a patient at HOPES. Daniel, has been chronically homeless since 2009. He began care at HOPES in July of 2017 after a referral to case management. At the time, Daniel was struggling with anxiety, which is part of the reason he never went to a shelter and lived in his car. “My name is Daniel. I was the victim of a shooting in May of 2012. I spent a few months in a hospital and a rehabilitation center after the shooting. I lost my job as well as my apartment during this time. After I recovered, I had a difficult time finding a job or a place to live. I remained homeless up until I was arrested in 2015. I was released from incarceration on July 9th of 2017. I had nothing but the clothes on my back, as well as nowhere to live. I have a mental health disability as well as diabetes. I got an appointment at the HOPES Clinic and expressed my extreme worry about only having a 10 day supply of insulin from the prison as well as not having any of my psych medications. I saw Dr. Rivara, who helped me address these issues and got me an appointment with a caseworker named Rosa. I met with Rosa and she explained HOPES administers a program that helps pay the security deposit and first month’s rent if I could find an apartment. After about 6 weeks of trying to find a place on my own, as well as meeting with the housing caseworker at other organizations, I had given up all hope at getting a place to live. The other caseworkers at the other organizations told me I would probably never qualify for any housing programs because of my past incarcerations. At this point I was out of prison and homeless for almost three months. This was a very terrible time for me. I found it nearly impossible to readjust back in to society. I had expressed on numerous occasions to family members in Washington State that I didn’t think I wanted to be free anymore. I wanted to return to the stable environment of prison. It saddens me today to think back of how miserable I truly was. I dreaded having to use the bathroom even. Where would I do this? I have nowhere to even wash my hands. Prison was sounding better and better every day. I had my own bed there. My own sink. My own toilet. I was never this depressed in prison. I never felt this hopeless and ashamed there. In September I was hospitalized in the ICU because I went into Diabetic ketoacidosis due to my not managing my diabetes. How does a person with diabetes eat properly or even store his insulin in a refrigerator when he has nowhere to live? I went to see Dr. Rivara after being released from the hospital. When she saw me, she brought Rosa and another case manager, Maribel, into the examining office and they informed me that they were going to really help me get off the streets and find a place to live. Although I did not think they were lying to me, I had abandoned any hope of living in an apartment. My thoughts were only on how I would get back to prison and end this misery of homelessness. Within three weeks, I had my own apartment. Rosa and Maribel had found an apartment with a landlord that was willing to work with their program as well as not be very intrusive into my past. The first night that I spent in the apartment was pretty emotional for me. It was sinking in that I had been making choices daily that eventually would have landed me back in prison. The Housing First philosophy focuses first on finding shelter and secondly on compliance requirements. 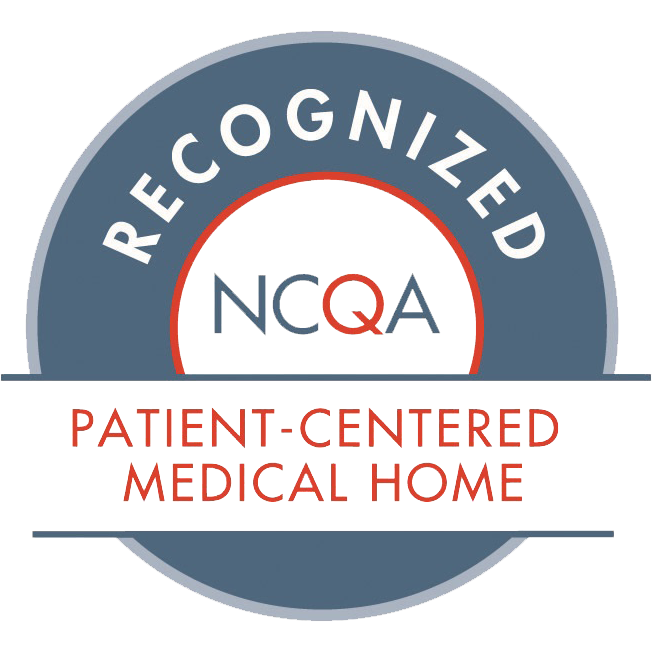 According to the National Governors Association Center’s report: “Housing as Healthcare, A Road Map for States,” evidence suggests that providing housing to certain high-need, high-cost patients can transform lives and have a very meaningful return on investment. * The Housing First model reduces the overreliance on costly sites of care, such as emergency department (EDs) and inpatient hospital services for non-emergent needs. What makes Supportive Housing models work is not simply constructing a home and handing over the key, but rather, integrating housing with wrap-around support services. At HOPES, we currently practice this model as best we can, with limited resources. Because it’s the right thing to do. These case management services are not billable. In 2017, HOPES alone provided case management services to 723 unique clients with over 1365 appointments to help these vulnerable members of our community navigate services and connect them to support they need. Any success I or Dr. Rivara, or any of our providers have in stabilizing or improving the health of our patients is a team success. The wrap-around care our patients receive through case management services is critical to individuals health, and thus, to our community’s overall health. In order for the Housing First model to be effective and to truly improve the health of our community, we need a system where case management is reliable and accessible, which ultimately means, billable. The Housing First model, in conjunction with wrap-around support services, works. It has worked around the country**, and at HOPES, when our homeless patients are housed and empowered to manage their own health. When there is a lack of available housing options at all income levels, those who suffer the most are often on the lowest end of the income spectrum often resulting in having no options at all. At HOPES, we support a person-centered approach that focuses on immediate access to permanent, safe and affordable housing without contingencies, in conjunction with case management services. In summary, we need to find a way to fund – whether through waivers or otherwise – these supportive services, like case management and housing, that are key to successful outcomes. As a pediatrician at HOPES, I see families and children who are living in weekly motels, show up malnourished, fearful, even showing up with rat bites. We have a responsibility to do something – and this committee is in a position to do it.